02.04.2019. London- CWS attended the Call and Contact Centre Expo in London, England. The two-day event took place at the end of March alongside four other industry-leading events and brought together hundreds of companies from many industries. 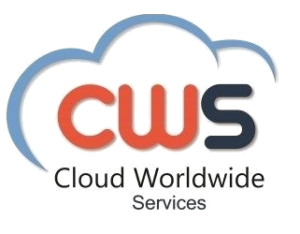 CWS was there to promote two cloud based solutions eComFax and Recordia and to network with other companies and individuals in the industry. The Call and Contact Centre Expo is Europe´s largest event connecting call and contact center professionals with the latest tools, techniques and systems available for call centers and customer service. The future of Call and contact centers and customer service was very much present with many innovative products and ideas shared over the two days. Boasting over 120 speakers with some industry leading experts from companies such as SAP, Avaya, Google Cloud, Microsoft and Salesforce to name a few. The event hosted more than 5000 attendees, 200 speakers and seminars and over 500 exhibitors. This event represented an excellent opportunity for CWS to discover the new drivers of demand and the role of cloud-based service providers in the call center industry. CWS took the networking opportunity to make key contacts in the industry by attending some of the talks and seminars at the event. Coming off the back of CWS’ partnership with Comcast in the USA, this event was an important step towards CWS’ international expansion and provided key contacts in the UK market.